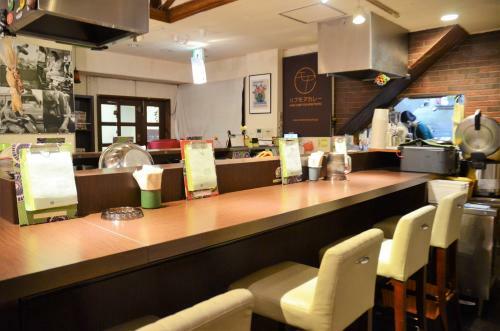 A curry restaurant in Omotesando, “have more curry” opened in October 2015. 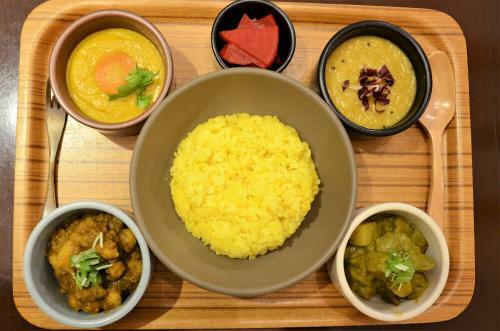 It is a healthy curry restaurant whose foods are all gluten-free and which serves also vegan menus. The goodness of “have more curry” is not only healthy menus but also its “localized fusion curry”. We recommend anyone regardless of vegetarian and non-vegetarian to try its irresistible taste at least once! We had an interview with the owner, Mr.Yohei Matsuzaki this time. We asked him about the localized fusion curry! Click here for location and detailed information on have more curry. It is near Omotesando Station. 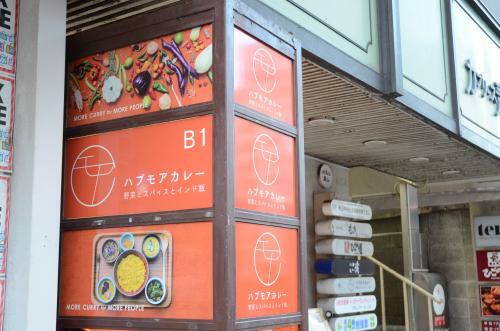 Ideally located on Aoyama-dori Street, “have more curry” is a curry restaurant operated without a break. You might find difficulty to find restaurants still open after lunch time. In busy Omotesando, such restaurant opening without any break is very handy. And it serves tasty curries which everyone loves! This restaurant is a strong supporter for busy business persons. 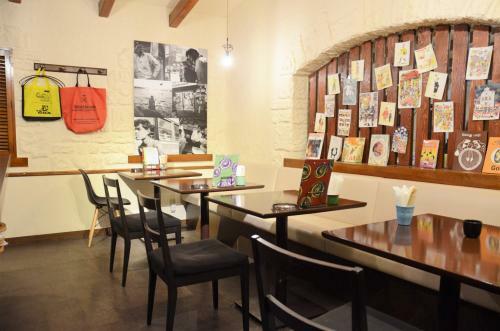 The restaurant has a relaxed atmosphere. It provides very comfortable space and welcomes female guests who visit alone! It is always busy after one in afternoon during weekends. Visiting during weekday before or after lunch time is recommended. It is very simple. 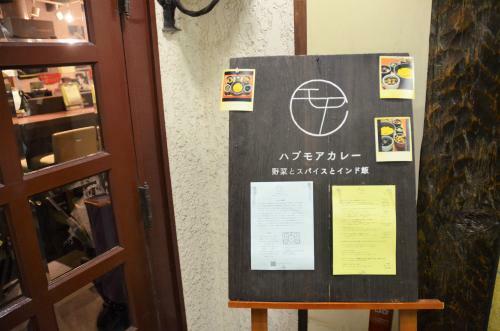 The menu is only “Curry Plate (1,280 yen including tax). You can choose your favorite 2 side dishes on top of the basic 2 curries and one side dish. Vegan dishes are always available. And we can create our own vegan plate. Furthermore, its curries are all gluten-free! When we went there for interviewing, we had 5 curries and side dishes shown below. 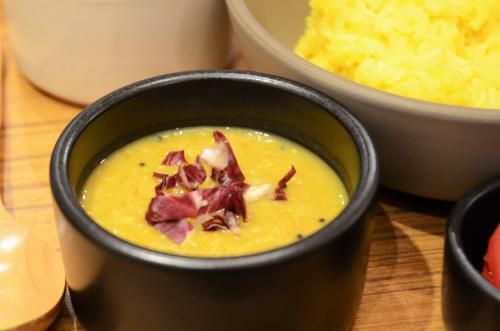 It is cooked with finely minced burdock root and Shiitake mushroom, bean dal and creamy sweet butternut squash. Well-balanced tastes are delightful. Parsley root adds a flavor. This curry tastes less spicy. But when we taste it, refreshing flavor of spices spreads in our mouth! The texture of chickpeas is very nice. It is soft, sweet and very mild. Kitaakari potato is also called chestnut potato. It tastes sweet and the texture is like chickpea. Its green color is made of spinach and avocado. The taste of spices instantly spreads in our mouth. It is a soup but goes very well with rice like curries! Its creamy texture creates another flavor when we eat with other dishes or curries. The have more curry suggests its recommended way of eating. “Firstly, just taste each curry and side dish alone. Then mix all of them with rice and eat. We followed the suggestion and found it tastes different! If we just lightly mix it, we will discover an unexpected ingredient with unexpected texture and every single bite tastes new. It is irresistible! Please try this way of eating when you visit “have more curry”! But we wonder how on earth these original curries were created. “Our concept is ‘localized fusion’. I travel to India and Southeast Asia once or twice a year to taste local foods. More variety of ethnic groups exist in Southeast Asia compared to Japan. These cultures influence each other and create a fusion or a new culture. It is very exciting. So, I wanted to realize the same in Japan with food. Mr.Matsuzaki loves curries very much. Since he loves curries so much, he was working at a curry restaurant in Shinjuku. 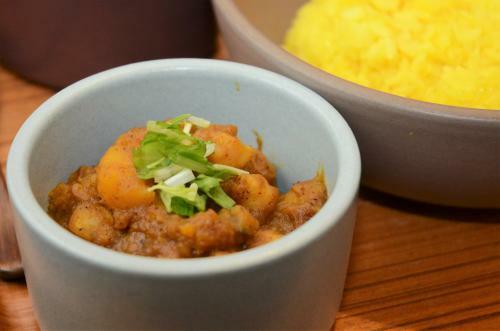 “While working at the curry restaurant, I have created my own curries. Then I wished I opened my curry restaurant. When he opened his own curry restaurant, he considered what kind of curries he wanted to serve. At that time, his friend of junior high school grew uncommon vegetables in his field and he decided to create curries cooked mainly with vegetables. “I procure quality vegetables and rice directly from my acquaintances. They have grown the vegetables which I didn’t often use, and I decided to use them out of curiosity. 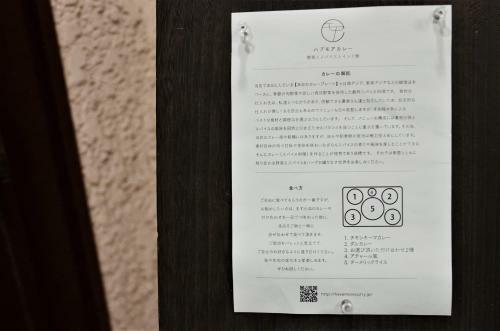 Then later Mr.Matsuzaki opened the current restaurant in Omotesando. 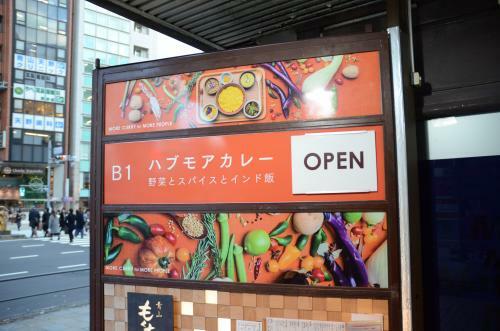 He chose Omotesando for serving vegetable curries. 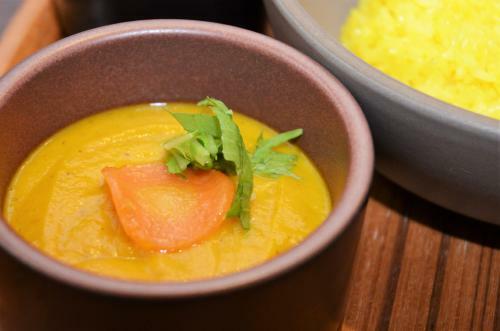 “If I would serve mainly vegetable curries, I thought the location would be Omotesando or Setagaya where the locals care about organic and quality of ingredients. To cook the curries, he established his original cooking method partially utilizing authentic Indian cooking methods not to waste the tastes of vegetables grown in Japan. His curries are appreciated by a wide range of people from young to senior as well as foreign people. 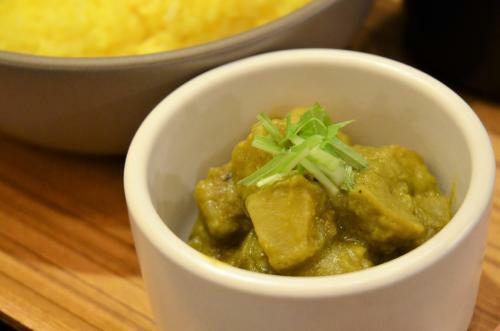 Mr.Matsuzaki’s original curries may become popular also in overseas in the near future!